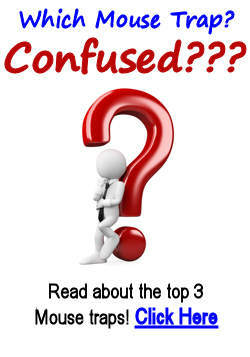 You are here: Home / Mice / Glue Tent Traps Vs Glue Board/Tray Traps? Glue Tent Traps Vs Glue Board/Tray Traps? Some brands of glue board traps that open out into a cardboard tunnel coated with glue. The idea of coating the entire inside of the trap with glue is to catch the rodent by more than just its feet. The problem with these traps is that they have more surfaces that send a warning signal to the rodent. When it approaches a glue board or glue tray that’s flat on the floor, it won’t necessarily feel it with its whiskers. When it approaches a glue tent, it will. Rats are more likely to wander into glue tents than mice, but only after the tents have been in place for several days so the rat is no longer alarmed by its presence. Mice remain cautious of tent traps. Glue tents are fine as part of your rodent program, for getting larger rodents that you miss at first. But never use them as your only form of rodent control. 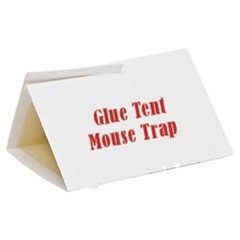 There is one situation in which glue tent traps work as well as glue boards and glue trays. That’s when they are used in totally dark spaces. Mice and rats are always seeking new holes and tunnels, but they recognize holes and tunnels by sight. Before they run into a new hole, they will check it out with their vibrissal apparatus, with their whiskers. An encounter with glue usually scares them away. However, they don’t know they are going into a tunnel unless they can see it, so sometimes they will run right into a glue tent in total darkness but not in partial light. Applying best-practice mice control techniques will keep your house free of the pests who can cause damage and spread disease.